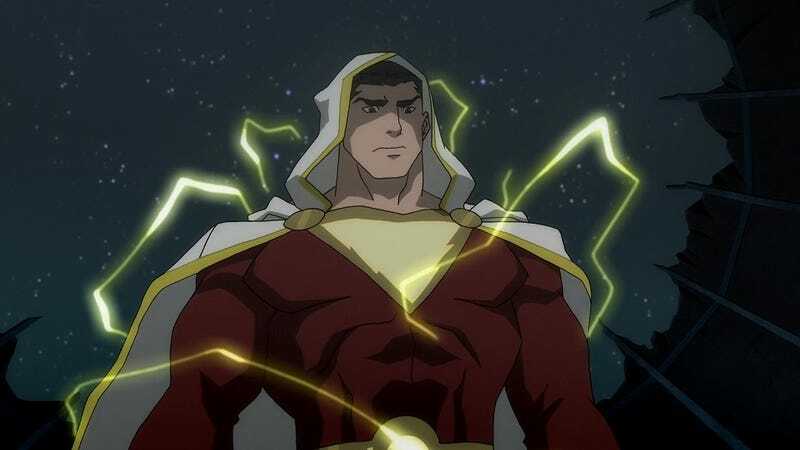 WB Wants The Shazam Movie To Be Different, Which Means It'll Be "Fun"
Now that Dwayne Johnson has finally decided he wants the role of Black Adam, WB is happy to discuss the Shazam movie. WB clearly wants to stress how different it will be from its other DC cinematic endeavors — not least of which is the fact that apparently Shazam will not be part of the Justice League universe. "It feels to me like Shazam will have a tone unto itself," he explains. "It's a DC comic, but it's not a Justice League character, and it's not a Marvel comic. The tone and the feeling of the movie will be different from the other range of comic book movies." The usual superhero-movie cone of silence prevents Emmerich from addressing any of the plot elements of Shazam directly. But when asked where the movie would fall on the superhero-movie spectrum (from dark and gritty to light and peppy), Emmerich does allow that the movie "will have a sense of fun and a sense of humor. But the stakes have to be real." While it's interesting that they're keeping Shazam and the Justice League movie universes separate — not the worst idea, in my opinion — I find it telling that part of what apparently will make Shazam different is that it'll "have a sense of fun and a sense of humor," which perfectly jibes with the rumors that WB's main DC movies will be humor-free. A churlish person might point out that if Shazam is going to be "fun," and Shazam is supposed to be different from the other DC movies, then it stands to reason that the other DC movies by definition will be "not fun," but... actually, I don't know where I was going with that.